Mexican drug lord “El Chapo” Guzmán escapes from prison (again). Mexican drug trafficker Joaquín Guzmán Loera aka “el Chapo Guzmán,” is escorted by marines as he is presented to the press on February 22, 2014 in Mexico City. 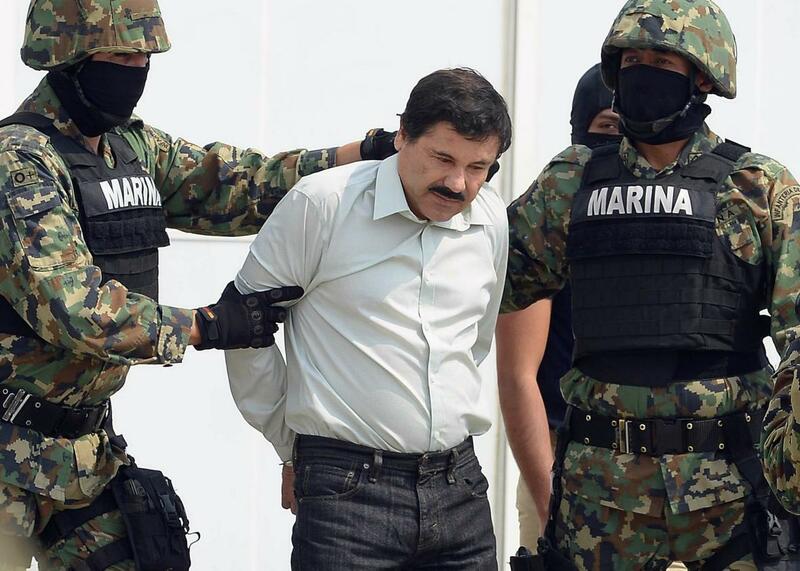 In a huge embarrassment for President Enrique Peña Nieto’s government, Mexico’s most notorious drug lord Joaquín “El Chapo” Guzmán, escaped from a maximum security prison for the second time in 15 years. The kingpin escaped through a one-mile-long tunnel that opened up in a shower area of his cell, according to the Associated Press. The tunnel had ventilation and lighting as well as a motorcycle connected to a rail, which is believed to have been used to transport the tools necessary for the digging, reports Mexico´s El Universal. 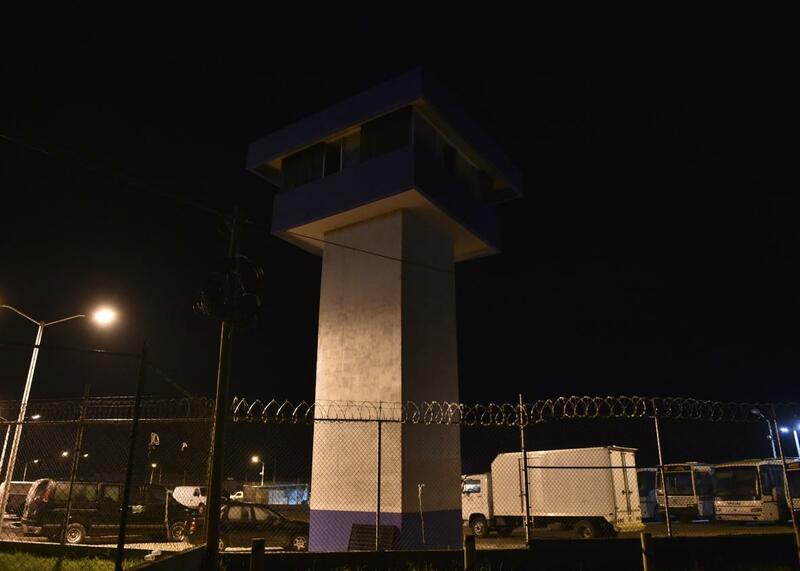 Around 18 prison employees have been taken for questioning to try to figure out just what happened to the head of the powerful Sinaloa Cartel. A manhunt was immediately launched for Guzmán, whose cartel is believed to control most of the crossing points for drugs into the United States and was last seen entering the shower area at 8:52 p.m. local time on Saturday. After he wasn’t seen for a while, guards entered his cell and found it empty. A photo taken on July 12, 2015 shows a view of the Altiplano prison in Almoloya de Juárez, Toluca, Mexico, from where Mexican drug trafficker Joaquín Guzmán Loera aka “el Chapo Guzmán” escaped on July 11. The rumors surrounding Guzmán, many of which sprouted during his previous 12 years on the lam, are numerous: With the money he had, he could be hiding anywhere in the world. He was listed by Forbes as one of the most powerful people in the world. Now, unless he is caught quickly, the legend will only grow.